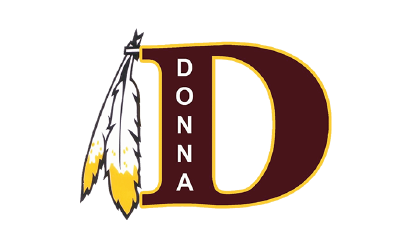 DONNA— The board of trustees for the Donna school district voted this week to appeal a recent decision by the Texas Education Agency to increase oversight of the district. The board held a special meeting Tuesday in which only a few items were discussed and voted on, including whether the district would request an informal review of TEA’s most recent decision. The agency notified the district of the move to upgrade state-appointed monitor Linda Romeros to a conservator. She has been overseeing and reporting district operations directly to TEA since July 2017. The new role would give Romeros the ability to not only witness decisions and report back to the state, but to direct the board and district officers and ensuring that some of the corrective measures already suggested by an audit. Requesting the informal review pretty much acts as an appeal of the decision and allows the district time to try to prove their stance, which in this case is that the upgrade is unnecessary due to several measures taken by the current board to fix internal issues. In a letter sent by TEA to the school district earlier this month, Deputy Commissioner of Governance A.J. Crabill stated the decision stemmed from findings of an internal forensic audit requested by the board last year. But Ceniceros said the board requested the audit with the sole purpose of beginning to fix those issues, which he said they have been working on since receiving the audit’s findings in September 2017. Some of the changes have included rearrangement of administrative positions, including the termination of former Chief Financial Officer Maricela Valdez, and the demotion of former Vice Superintendent for Human Resources Jose Villanueva due to what the audit stated was a lack of qualifications to hold those top positions. The district is currently searching for permanent replacements for the two positions as well as beginning the search for a new superintendent as former Superintendent Fernando Castillo officially resigned effective Tuesday. Castillo was also called out by the audit for appointing Valdez and Villanueva to the two positions without making sure they met basic requirements. The district has up until Feb. 27 to officially file the request for an informal audit with TEA. After this is submitted the agency will set a date for the review and a method, which TEA spokesperson Lauren Callahan sated could be done in person by a TEA appointee or by having the district file documentation directly to TEA. It is unclear how long this process will take as decisions are made on a case-by-case basis. But Romeros would not take the formal role of conservator until the process is finalized and only if the commissioner upholds his decision, Callahan explained. “Theoretically, if he decides to leave the monitor as the monitor … or also on the opposite side, after the review if he decides to uphold the decision, then he would take the appropriate time to make that informed decision,” she said.